Love To Teach! Let Momma Sylvia Tutor You! Hello, I'm Sylvia! I graduated from the University of Phoenix with a Bachelor's degree in Business Management. I continued in graduate school and achieved a Master's in Adult Education and Training. I am currently in the Doctorate program for EDD in Curriculum and Instruction. Before I started with the University of Phoenix, I was attending Bowie State University for Elementary Education. Because of the demands from my job, the stress from a divorce, and the pressure of a single mom left to raise six children, I had to withdraw from Bowie State. After ten years, I registered as an online student with the University of Phoenix and was able to transfer more than 80 credit hours out of 120 from Bowie State. I have more than 30 years of experience teaching. Because I did not complete Bowie State, I was hired as a contract substitute teacher for more than ten years. I taught grades K-6 and I tutored students in the evening as well as over the weekend. While working in DC at Ballou High, I volunteered in the evening tutoring adults 60 and above in reading because they were too embarrassed to enter an adult program for reading. At that time, there were 18 seniors in the class. As a GED Instructor at Ballou S.T.A.Y., I taught Reading, Writing, Science, Social Studies, and Math. As the years progressed, I continued tutoring students in reading and math for two hours twice a week. I continued teaching and advanced to the position of GED Coordinator/Instructor successfully helping more than 150 students to achieve their GED. My current position as a Career Tech Enhancement Coach continues to give me the experience as an instructor to help students academically increase in levels for reading, writing, and math. 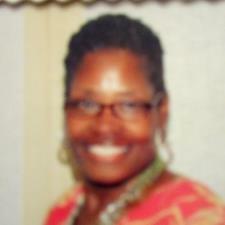 I have several years of experience in tutoring Reading, Pre-Algebra, Algebra 1, and Algebra 2. Because of my love for teaching, I am willing to go beyond in helping students achieve their goal. I have knowledge in creating lessons to reach any level of development to help the student advance. I am patient, understanding, and care deeply for the students I assist. I am skillful in motivating and encouraging students to stay the course regardless of how hard the struggle becomes. I am real and honest with my students about their accomplishments. I believe in acknowledging every effort regardless of how small because enough small steps can move the student closer to their goal. I am pleasant to work with and although I have resources and tools to assist the student, I do accept the advice from the student, parent, or the teacher. I believe everyone involved play a part in the success of the student. I believe I am an outstanding tutor because I go beyond to meet the needs of the student. I am very patient and try extra teaching methods to find the best learning method to help the student to succeed. I know how to instruct a lesson that can enhance the student's learning regardless of their developmental level. Because of my math knowledge and the experience to teach and tutor others, I know I am highly qualified to tutor students. I am here to provide you with the best method and tools to increase knowledge and skills in your designated academic area. I am willing to travel to your home, library, or online to help you with your achievement. I am motivated and encouraged about the success I can offer you based on my training and experience. Feel free to contact me and I will respond within 48 hours. Let's get busy. I have 15 years of experience working as a Contract Substitute Teacher as well as Camp Director for Maryland National Park n Planning. In the process of teaching, I attended Bowie State for Elementary Education but because of personal emergencies, I resigned from the school and returned years later as an online student for the University of Phoenix. My teaching experience also led me to high school, as a GED Instructor/Coordinator, I taught reading, writing, science, social studies, and math. My current position I teach academic enhancement, which includes reading, writing, and math to the career tech students in our training program.